Directions: Mix one scoop (40g) in 200-300ml of water or skim milk. Then blend, shaake or stir for 20-30 seconds or until powder is disolved. Total Science 100% WPI contains premium grade cross-flow micro-filtered and ultra-filtered instantised Whey Protein Isolate; derived from grass fed cows and is GMO-free. 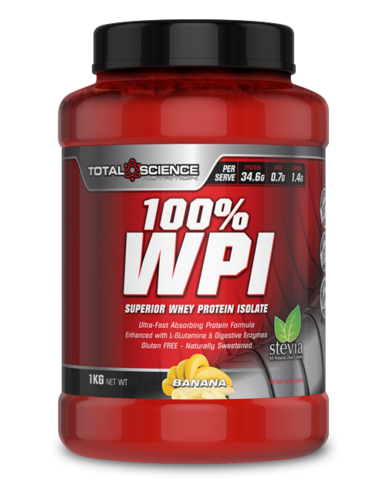 Total Science 100% WPI undergoes the finest filtration process to remove maximum amounts of fat, lactose and carbohydrates, making it a must have for your daily supplementation regime. Boasting all the essential amino acids that the body itself is unable to synthesize. Total Science 100% WPI is enhanced with natural fermented L-Glutamine for gut health and recovery; 3,3'-Diindolylmethane for hormone balance, Digestive Enzymes (Bromelain) to aid protein digestion and a rich vitamin and mineral complex for healthy bodily functions. It also contains biologically active protein micro fractions such as; alpha-lactalbumin, immunoglobulins, bovine serum albumin, beta-lactoglobulin, glycomacropeptides and various growth factors. 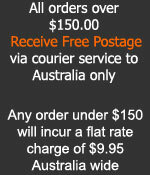 Being a fast absorbing protein, it can assist with better recovery, improved strength and lean muscle development.